While Sony Mobile has been in a spot of bother concerning smartphone sales, the Japanese tech company has announced its embellished flagship smartphone, Xperia Z4. The handset possesses impressive hardware specifications, including Qualcomm’s Snapdragon 810, despite several rumors indicating Sony’s shift away from Qualcomm’s octa core processor. Surprisingly, the company did not incorporate a 1440p display either, with the Xperia Z4. Looks like Sony cares more about consumers who want additional battery life rather than those who want everything inside the display to look like ‘eye candy’. 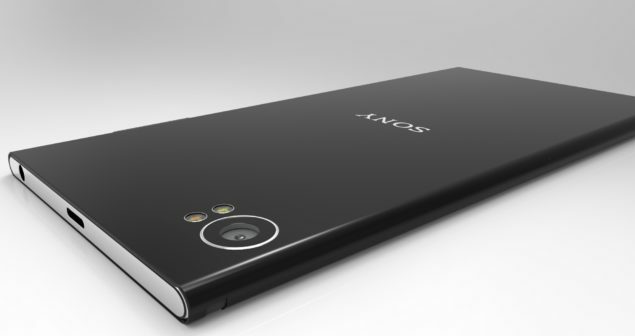 Instead of the 1440p display, the 5.2 inch screen size of Xperia Z4 exudes a 1080p display. With Sony’s forte lies in display tech, you can expect that the content being viewed on the device will appear more crisp and vibrant than it would have on other handsets. Additionally, the company’s proficiency in camera sensor technology has allowed it to incorporate a 20.7/5 MP combo. The Xperia Z4 is dust and waterproof, despite Sony’s decision to remove flaps covering the device’s external ports. Underneath the device’s aluminum and glass construction, the Xperia Z4 is equipped with a 2,930 mAh battery along with 3 GB of RAM. The smartphone will come packing with 32 GB of internal memory, with an option to expand that memory to 128 GB via SD card slot. For those that display a penchant for color schemes, the Xperia Z4 will be available in white, black copper and aqua green. While the pricing variable has not been announced, you should not expect Sony to grow a heart and price it at a competitive range, particularly when it is the firm’s flagship offering. Apart from the impressive camera sensor and display technology, we do not have any other reason to stick to purchasing an Xperia handset. Hopefully, Sony might actually have a soul and price it accordingly.